On Monday, November 19, 2018, two mass shooting stories became "breaking news" out of Chicago and St. Louis. This posting about Chicago. The situation at the Mercy Hospital and Medical Center in Chicago, Illinois, began between 3:00 pm and 3:30 pm, in the parking lot. It began between an emergency room doctor, and her ex-fiance. Then that doctor, identified as Tamara O'Neal, was killed by the perpetrator in the parking lot. 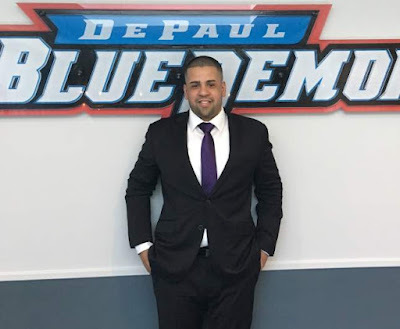 The devil is in the details: Juan Lopez graduated with a Master's degree in public service, from DePaul University. The DePaul Blue Demons are the athletic teams that represent DePaul University. Sibyl Hunter mentions the following, from Wikipedia: "Blue devils, demons causing depression, according to some the etymology of the blues music genre." The perpetrator, 32-year-old male, Juan Lopez, demanded a ring from O'Neal, and returned with a gun and shot her six times when it emerged she did not have the ring. Lopez continued into the hospital and shot others. Police arrived and exchanged fire with the gunman, who retreated into the hospital and was pursued by officers. A police officer was transported to the University of Chicago Medical Center in critical condition, where he later died. He was identified as 28-year-old Samuel Jimenez. The other two victims were identified as O'Neal and 25-year-old Dayna Less, a pharmaceutical assistant. The gunman also died in the shooting. It was all over by 4:40 pm Central Time. 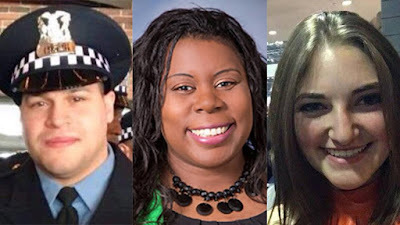 The Chicago Tribune dubbed the incident "chaos at Mercy Hospital" and quotes Mayor Rahm Emmanuel as saying: "This tears at the soul of our city. It is the face and the consequence of evil." The origins of this Mercy Hospital is directly tied to the Sisters of Mercy, from Ireland. 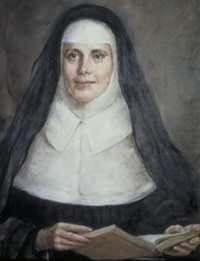 Mercy’s history of caring reaches back more than two centuries to the commitment of one person, Catherine McAuley, who was born in Dublin in 1778. It was a time of strife and widespread poverty in Ireland. British law excluded Catholics from educational opportunities, equal civil rights, and the open practice of their faith. Catherine was born the daughter of a successful Catholic businessman, James McAuley. In this time of despair, Catherine's father was very concerned about the plight of the poor and oppressed. He died when Catherine was only five years old. The death of Catherine’s father and then her mother left the McAuley children orphans. Catherine was taken in by the Callaghans, close family friends and strict Quakers. While she was able to follow in her father’s footsteps by working with the poor of Dublin, this strict household did not allow for the open practice of Catholicism. Twenty years later, however, Catherine inherited the Callaghan family estate and was able to practice her religion and pursue her calling to help those in need. Catherine commissioned a building for the needy on Dublin’s fashionable Baggot Street. It was called the House of Mercy and opened September 24, 1827. The social elite of Dublin began volunteering to teach and care for the children of the poor. Staff members tended to the sick in their homes and in public hospitals. Young women were trained in needlework, etiquette and domestic services so that they might find paying work in the nearby homes of the wealthy. The spirit of selflessness and giving at the House of Mercy so moved the Archbishop of Dublin that he asked Catherine to establish a religious order that her work might endure. In 1831, after training and preparation for a life of religious service, Catherine McAuley and two colleagues founded the Sisters of Mercy upon a commitment to help the poor, sick and uneducated and all of those wounded by contemporary society. This commitment remains central to the Mercy Mission. Catherine McAuley died of tuberculosis just ten years after founding her community, but by then there were 100 Sisters to carry on her work. Today there are more than 4,500 Sisters of Mercy. In 1843, only two years after Catherine’s death, her closest friend and assistant Mother Mary Frances Xavier Warde brought a group of Sisters to America. They would establish Mercy Hospital in Pittsburgh – the oldest Catholic hospital in the United States. Three years later, at the request of Bishop Quarter from the new frontier diocese of Chicago, Mother Mary Frances Xavier Warde chose five Sisters from the growing community in Pittsburgh and set out for Chicago. Source. For details on the Catholic Supply store, see here.